We report on a new synthesis protocol for functionalization of water-insoluble ferrocene derivative on gold nanoparticles (AuNPs) in aqueous media. 11-mercaptoundecylferrocene (HS-(CH2)11-ferrocene) (FcSH) was successfully conjugated on AuNPs in an aqueous phase with the help of different thiol-alkylated polyethyleneglycol (PEG) ligands. 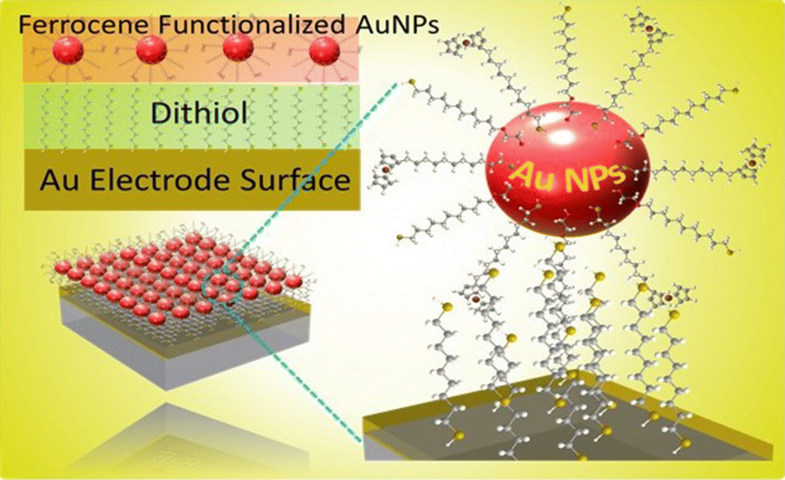 Cyclic voltammetry (CV) was carried out for a range of sets of ferrocene-functionalized Au nanoparticles (FcSH–AuNPs) which showed electrochemical (EC) adsorption due to dithiolated linkage/self-assembly of monolayers (SAMs) on gold electrode surface. 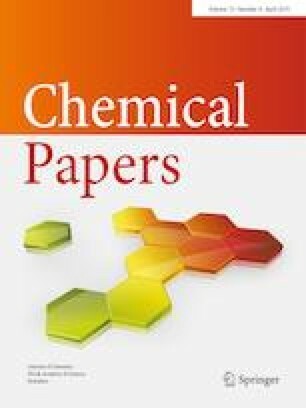 Importantly, the redox activity, aqueous solubility and stability of FcSH–AuNPs were noticed to remain unchanged throughout the study. The author is thankful to COMSATS University for financial support.